Why SEO Works For Business – Every month, more than a hundred billion searches are performed by people from all over the world on Google. It is, therefore no wonder that investing in an organized SEO campaign can have great results for your business. Among the different types of online marketing strategies that you can try out. SEO is by far one of the most simple and result driven. Effective search engine optimization can not only bring more traffic to your website, but it can also get you more leads which you can then convert to sales. It is, therefore no wonder that most companies all over the world prefer to invest in effective SEO solutions. While there are many other types of online marketing strategies such as PPC marketing, email marketing, social media marketing, and affiliate marketing. SEO is considered to be the most effective way to promote a business in general, or even let everyone know about a special offer. It is a well-known fact that SEO generates faster results and more leads than the other types of marketing methods. The majority of people prefer to do online research before buying any kind of product. It is due to this reason, companies leave no stone unturned to optimize their websites so that they can be at the forefront of business and have an edge over their competitors. Moreover, SEO offers cost-effective methods to business owners to promote their products and services. Most effective ways to generate more leads for Why SEO Works For Business. that you need to do to lead more leads is to optimize your website with the right kinds of keywords. Using the right short tail and long tail keywords are important when you want to attract the target audience through the search engines. It is always a good idea to make use of a single keyword with high search volume than multiple keywords with low search volumes. Since you will be regularly competing with numerous well-known brands, it is necessary that you develop your SEO strategy in a manner that can help you to stand out from your competitors. A very good way to improve your online presence is by making smart use of the long tail keywords. The long tail keywords can be described as keyword phrases that have at least 4 to 5 words in them. By implementing the long tail keywords that are relevant to your brand, business or product, you can easily generate the interest in your company and its products in the minds of your customers. The long tail keywords are specifically well suited for local businesses but can also be used by non-local companies as well. The long tail keywords enable you to keep the searches more specific. This means that by optimizing your site for them, you can have your target customers visiting your website more frequently. Another important and effective method that you can use to boost your leads is by studying your competition and understanding their motives when they are working on their marketing goals. Learning more from your competition can help you to generate backlinks from reputable sources which can, in turn, help you to get more traffic and leads. 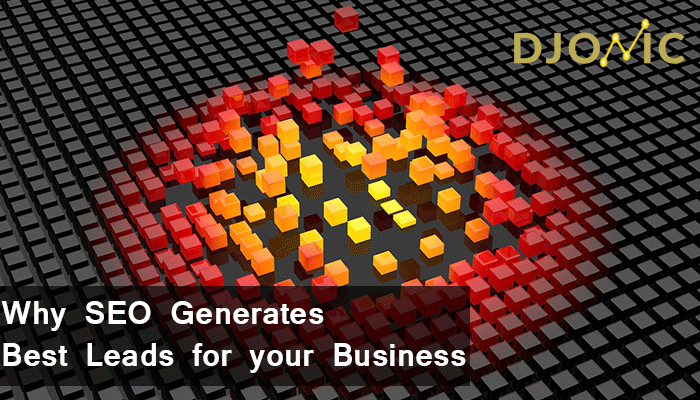 You can also create a high-quality backlink database for your company. However, make sure that you only use high quality and legitimate backlinks as otherwise, that will do you more harm than good. You should also focus on creating a website that is designed in a responsive manner. This will automatically generate more visitors and know why SEO Works For Business.If you want to know more let us know about YOUR BUSINESS. The post 5 Tips for Boosting Low Cash Flow appeared first on Noobpreneur.com.